Coming up with a design project proposal can be troublesome for some designers. Every time you submit a proposal, it’s like applying for a job. Proposals determine whether clients choose to hire you, and you know that clients are the life-blood of your design business. 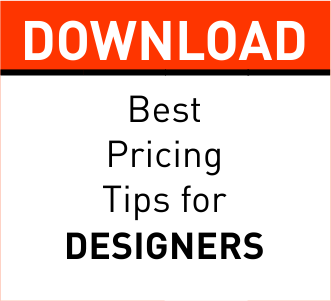 In essence, the success or failure as a designer depends on how well he/she can sell his/her services. This post will teach you ins and outs of a successful design project proposal, and how to use a proposal to get more clients. Put another way, the purpose of a project proposal is to convince your potential client that you have a great solution to their problem, explain how you will solve their problem, and what makes you the best option for the project. You now understand what a project proposal is used for, perhaps you’re asking yourself when could be the best time to write a design proposal. 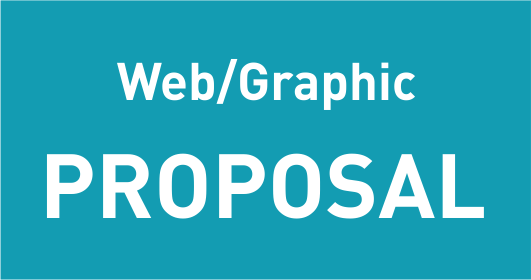 Some designers would argue that you can send a proposal whenever you wish to. If, for example, you are browsing through some local web sites and find a site that needs some serious help, or a Logo that needs a facelift, you might just find success in sending a proposal to that company. Designers from the other camp might argue that you should only send a proposal when a potential client requests one. This is know as a request for proposal. Without taking sides, I would have to say the best option is simply whatever one fits you best. If you are a bold, confident designer, approach companies with proposals in a “cold-call” sort of way. If not, wait for companies in need of your assistance to come to you. There are definitely pros and cons to both of these approaches. Although you are managing a design business, you are still a person. The recipient of the proposal is a person. Take a second to be personable with them. Greet them professionally but in a friendly manner, and let them know you are pleased to offer this design project proposal. Always include a short introduction of who you are professionally and what kind of business you are involved in. When appropriate, mention other projects you have worked on, clients you have worked for, experience you bring to the table, etc. If you have an elevator pitch for you and your company, this would be a wonderful time to use the same verbiage and details from your pitch. Although this may not be the “main event” of your proposal, it is still the “show opener” and needs to get your audience pumped up about what’s coming. Now to the main event. This is (if you’ve done everything else correctly so far) what your potential client has been waiting for. This is the climax of your proposal. So don’t blow it! Take time to explain the problems your potential client is facing, but do it in a way that will not offend them. Demonstrate a genuine concern for the company or organization’s success and offer positive solutions. If appropriate offer solid research or evidence that your solution will work, why you can carry it out better than any of your competitors, and how your potential client will benefit from hiring you. After amazing your potential client with a stunning, solution-oriented proposal, include important details such as pricing and timeline. Make sure to include a statement about how excited you are to work with them in solving any design problems they currently face. If you feel bold, you can even offer to make a follow-up phone call a few days after sending the proposal, if you don’t hear from them. Close your proposal by recapping the strongest details, most amazing solutions, and a promise that you can help them achieve the success they are looking for. It’s been my experience that if you follow the few simple tactics mentioned above, you will have an increase in clientele. When any new client comes your way, welcome them, thank them, and make them feel like they are the most important client you have. Just because you “won” the proposal, you shouldn’t assume everything else will work out without a problem. Take care to treat your clients with respect and be an easy person to work with. Lest I get sued by anyone who follows my council and still doesn’t get any new clients, I have a few words of advice. Keep trying. One thing I used to do was politely ask those who chose to hire someone else what I could have done better. Many times I found it wasn’t necessarily that I wasn’t qualified, but that I didn’t present myself in the right way. Take note of what you learn from your failed attempts and eventually you’ll get it right.